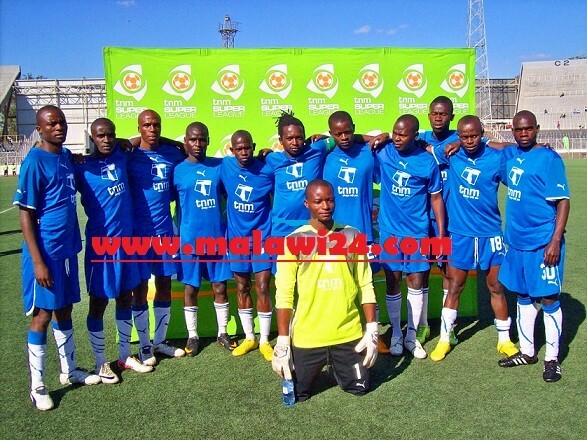 Blue Eagles have advanced to the semi finals of Malawi’s Standard Bank knockout cup after beating Silver Strikers by a goal to nil at Silver Stadium in Lilongwe on Saturday. It was an interesting Saturday afternoon match as both teams were playing an interesting passing game in the opening minutes of the game. Blue Eagles forward who scored four goals past Civo United, Schumacker Kuwali was playing with confidence and was tightly marked by Silver Strikers defenders knowing that an slight mistake he will punish them. Green Harawa and Peter Wadabwa were both players to watch and they formed a dangerous combination which was giving some problems to Blue Eagles defenders but goaltender John Soko was on his best form this afternoon. Come the second half both teams came with fresh ideas and tactics and the second half started with a fast pace because both Silver and Blue Eagles were in search goals in the early minutes of the half. But it was Blue Eagles who scored a beauty through Gilbert Chirwa and after that goal Silver Strikers through Peter Pindani and Green Harawa started pressurizing the Eagles defense but it was too strong to be demolished. Kuwali had a cap of chances to double Blue Eagles lead in the second half but Silver Strikers goaltender Blessings Kameza denied him with some excellent saves. Harawa, Pindani and Wadabwa kept on pressurizing the Eagles of area 30 as they were attacking the Eagles goal area but their efforts yielded nothing as Blue Eagles defenders defended jealously. In the dying minutes of the second half Silver Strikers could have leveled the scoreline and push the match into post match penalties but Blue Eagles goaltender John Soko denied the bankers from scoring and the game ended 1-0 in favor of Blue Eagles. After the game Gabriel Chirwa said that the Eagles won the match despite not playing their usual game and he also added that the Eagles will start preparing for the Nomads clash which is slated for next month. Where as his counter part Silver Strikers assistant team manager said they have lost the match and they will concentrate on the super league. Blue Eagles will face Mighty Wanderers in the semi finals of the Standard Bank knockout cup after the Nomads knocked Red Lions out of the cup by 1 nil.